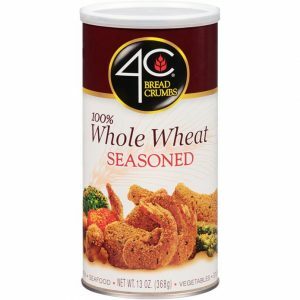 100% Whole Wheat Bread Crumbs are the perfect way to add whole grain goodness to all your recipes. 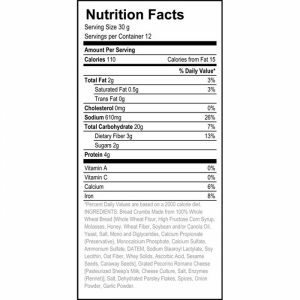 Our Seasoned Whole Wheat Crumbs infused with our uniquely balanced blend of herbs, spices and 100% Imported Pecorino Romano Cheese. 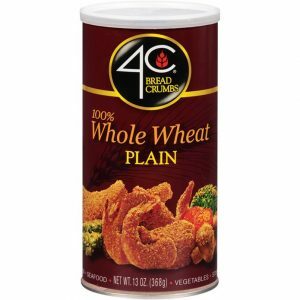 4C Whole Wheat Crumbs are a great start to healthful eating. 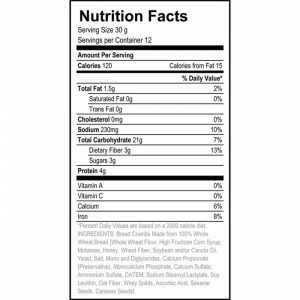 4C Whole Wheat Bread Crumbs can be the cornerstone of your healthful eating plan. Our 100% Whole Wheat Crumbs are the perfect way to add whole grain goodness to all your favorite recipes.